Your blogger was held up at gunpoint in December 2002. Three young guys made me get out of the car, leaving all belongings behind. Next day, after a wild night with Vila Mimosa prostitutes, they went through a police roadblock and smashed into a bus. Two were arrested as they attempted to escape on foot. Para Conexões urbanas que surpreendem clique aqui. 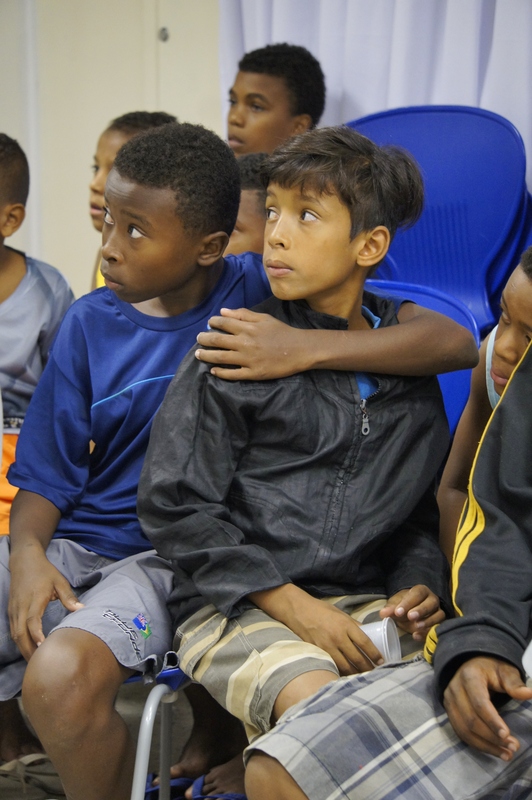 The challenge was then whether or not to go to the police station and identify them. The police had done their job, so much so that one of the cops couldn’t shake my hand. His was hurt he said, suggesting a well-deserved thrashing. This citizen then did her job, in a police station of medieval computers, crossing paths mid-deposition with the suspects’ mother. They were brothers, one a minor, one an adult. Hours later, fear flooded in, closing my throat, nicely illustrating the suffocation of living in such a violent city. Months later, the brothers were once again identified, and then judged and punished. This all happened 13 years ago, in a divided and despairing Rio de Janeiro that your blogger hardly knew. 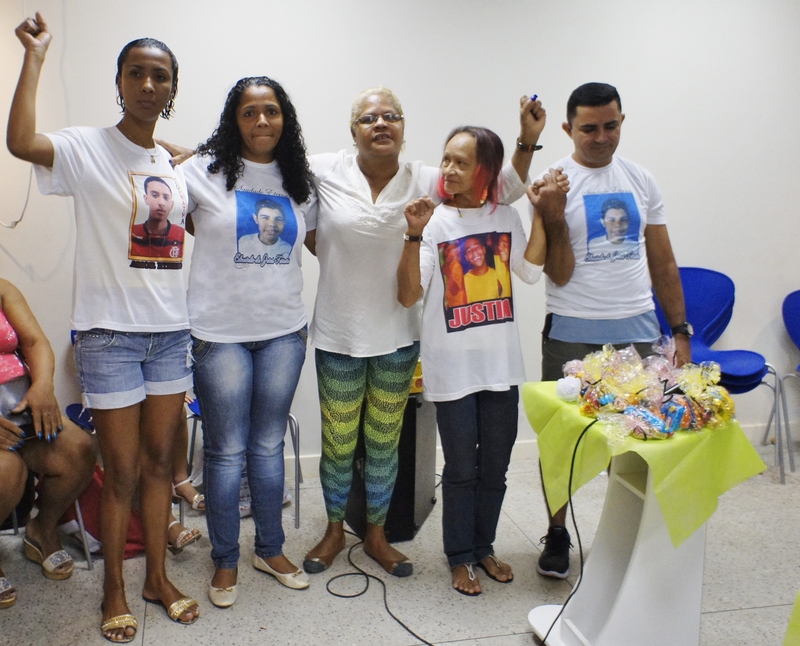 This morning, in a room at the Nave do Conhecimento in the Complexo do Alemão, during a breakfast marking the launch of the Favela Mothers’ Council, mom Monica Cunha told the story of her son’s death. 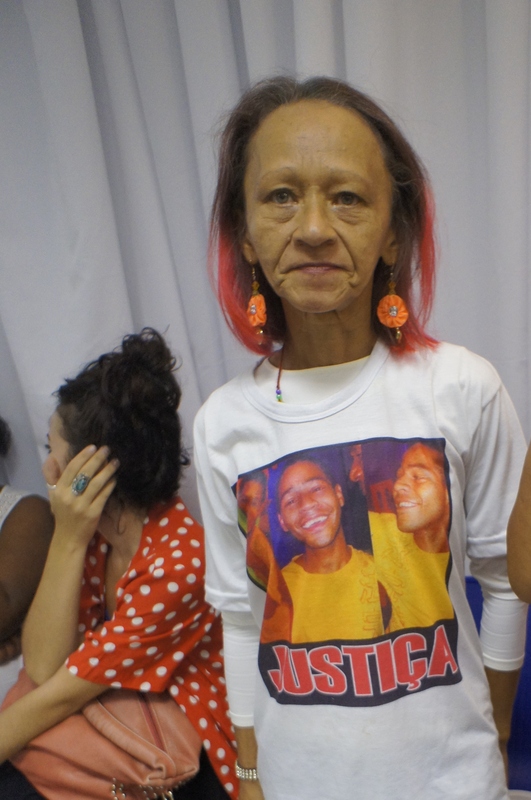 There were four other moms who have lost their sons to police violence, including that of young Eduardo, killed in the Complex in early April. They all told their stories. The dates in Monica’s story almost jived with your blogger’s robbery experience. Arrested, Monica’s son went to the notorious Degase, a juvenile correction center. After he left, some time later, in 2006, a police officer shot him dead. “Sons aren’t born carrying an AK47. They have families. Life happens. The State never explained why it was doing what it did,” said Monica, who opposes reducing the age for criminal liability (now being debated in Congress) because she wants to prevent more deaths. The faces of the youths who knocked on my car window, making a noise impossible to erase from one’s auditory memory — did they look anything like Monica? Or some other mother drinking coffee and eating crackers with ham and cheese? What did that mom in the police station look like? Any real kinship is unlikely. The robbery was in Laranjeiras, far from Alemão. The boys, if alive, would now be around age 30. But this morning, the universe suddenly manifested in all its intricate and perverse tapestry. It wanted to show us that nothing is easy to understand or change and that sometimes, a comforting Mother’s Day hug is more than necessary. This entry was posted in Brazil, Transformation of Rio de Janeiro / Transformação do Rio de Janeiro and tagged Complexo do Alemão, favela youth deaths, Rio de Janeiro police violence. Bookmark the permalink. Honest. Brave. Recognising that we are all in this world together. Thanks.